ICMA delivers the latest research in the 14 core areas critical for effective local government leadership and management. Click here for a download/print version. ICMA University is the premier resource for local government leadership and management training. Our programs are designed to advance your career, enrich your community, and contribute to your professional fulfillment. ICMA’s online workshops and programs bring the latest research from leading experts to your office. Our conferences and in-person workshops allow you to network with colleagues and exchange ideas. 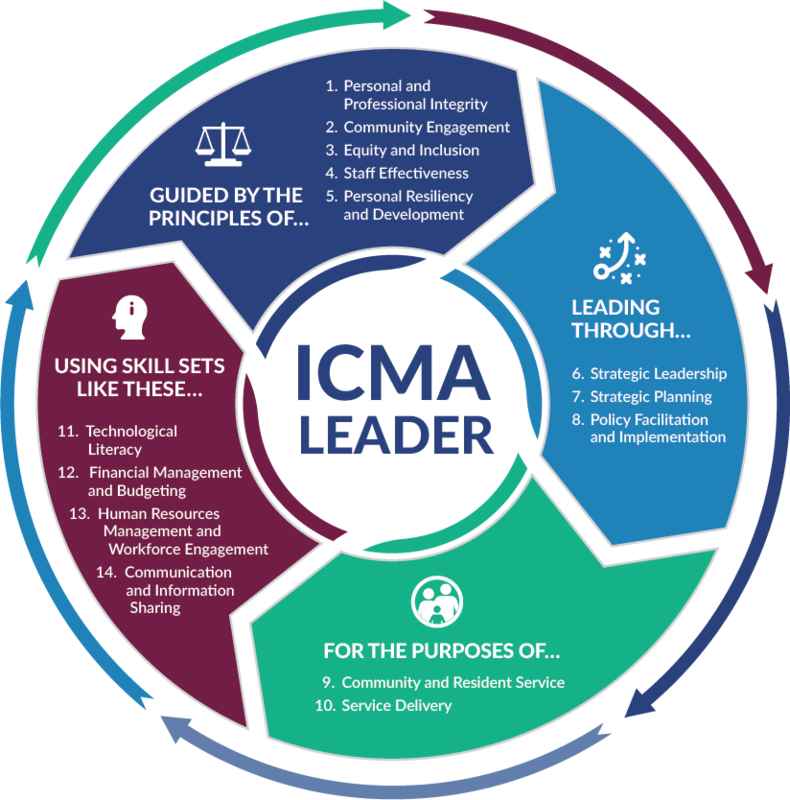 All ICMA University programs are drawn from the 14 core competencies that members have determined are essential to local government leadership and management. 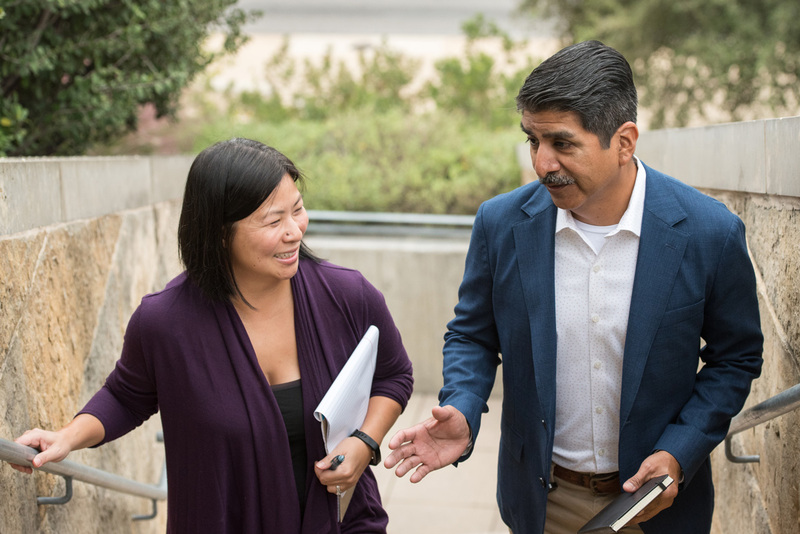 ICMA’s professional development programs encourage local government professionals to think in terms of leading the organization and not just managing the organization. Leadership is engaging with and inspiring others to participate in developing, achieving, articulating, and embodying a shared set of values, shared sense of purpose, and shared vision of the desired community outcome. Leadership requires professionals who are highly interpersonally competent as well as self-aware. ICMA also recognizes the leadership role of local government managers in creating and maintaining resilient and livable communities. Through the responsible stewardship of public resources, our communities will retain the economic, environmental, and social capital needed to prosper for future generations. Ensuring the decision-making model reflects integrity, honesty, and openness. Communicating ethical standards and guidelines to others. Advocating for diverse viewpoints to be considered and helping the organization seek them out when they appear to be missing. Employing a range of engagement, positive communication, and conflict resolution methods. Taking a proactive approach to service delivery and decision making that accounts for underlying differences in opportunities, burdens, and needs, in order to equitably improve the quality of life for all. Creating opportunities for employees and community members to learn about each other's cultural backgrounds, lives, and interests; building relationships through increased understanding. Creating a positive atmosphere where interactions are based in respect and professionalism. Seeking and providing support when career setbacks occur. Identifying areas where you would like to gain knowledge or skills and developing a plan to acquire those skills and knowledge. Demonstrating high interpersonal competence and educating yourself on fundamental concepts such as self-awareness, judgment, emotions, power, resistance to change, and trust. Providing resources and training to support creative innovation and problem-solving and seeking opportunities for improvement as well as new initiatives. Ensuring the organization is focused on the core mission, plans are implemented, and resources are available to achieve the plan’s goals and objectives. Building an integrated planning system that begins with the community and flows to corporate, operational, and individual plans. Plan examples include short- and long-term financial, human resource and workforce, enterprise-wide technology, capital improvement and asset management, and community. Ensuring necessary improvements to processes and systems so that attainment of goals and objectives is possible. Understanding the political environment and the impact of decision making on diverse groups. Participating in national, state, provincial, regional, and local policy discussions. Understanding that different approaches are needed to account for different needs. Providing complete, accurate, and timely information. Building a culture that values high performance and continuous improvement. Identifying, gathering, and reporting performance measures in a manner that is meaningful, understandable, and efficient; using data to lead and manage the organization and deliver results. Sharing data and technology with other communities to improve delivery of service and, ultimately, quality of life. Continually exploring work process and process improvements; automating only effective processes. Ensuring the governing body is well informed about its fiduciary responsibilities. Interpreting financial information to assess the short- and long-term fiscal condition of the community, determine the cost-effectiveness of programs, and compare alternative strategies. Forecasting the needs of the workforce and institutionalizing succession planning. Aligning the organization’s human capital with the strategic objectives of the governing body. Strategically supplementing the organization's communication tools to provide the most effective outreach opportunities. Understanding and training staff on the importance of appropriate compliance with public records requests.